ALERT (ARG) (Grey 2002-Stud 2007). 5 wins at 800m, 1000m in Argentina, San Isidro G.P. Estrellas Juniors Sprint, Gr.1. Sire of 197 rnrs, 106 wnrs, inc. SW Power Alert (Churchill Downs Twin Spires Turf Sprint S., Gr.3), SP Miss Alibi, Eyes on Guard and of Alesteem, Don'tcryargentina, Lamingtons, Jack 'n' Sam, Alert by Sea, For Me Argentina, Harbour Alert, Lightning Alert, Quietly Brilliant, She's No Drama, Contemplation, Grey Drama, etc. Morning Time - Smoking Joe (Sing.). 8 wins to 1400m, A$135,300, S$229,891, Singapore TC Kranji A S., STC Lions Save Sight Foundation H., Aidan's Freeway Hotel H., Hyland Racing Colours H., Singapore TC Class 2 H., RDA Cup, 2d AJC PJ Bell Country Championship H., Singapore TC Open H., AJC Lactate Pro H., Murrumbidgee TC Wagga Town P., 3d Singapore TC Punters' Way Cup, Open H., AJC Burwana 2YO H., STC Winning Edge Presentations 2YO H.
Gold Horizon. 6 wins from 1200m to 1600m, A$182,190, to 2015-16, BRC Hamilton Hotel Provincial Series H., Girls Day Out Raceday H., 3d Ipswich TC XXXX Summer Bright H.
See the Universe. 2 wins at 1200m, 2d STC Grosvenor H., 3d STC Tbnsw.com.au H.
Slick Line. 4 wins from 1400m to 1750m in Aust. Half for You. 3 wins at 1200m, 1300m to 2015-16 in Aust. Virgo Lass. 2 wins at 1200m, 1400m in 2015-16 in Aust. Universal Magic (g. by Universal Prince). 2 wins at 1200m, AJC Hyland Race Colours H., 3d AJC Cargo Bar H., STC Jurox Pty Ltd H.
Hallway (c. by Archway). 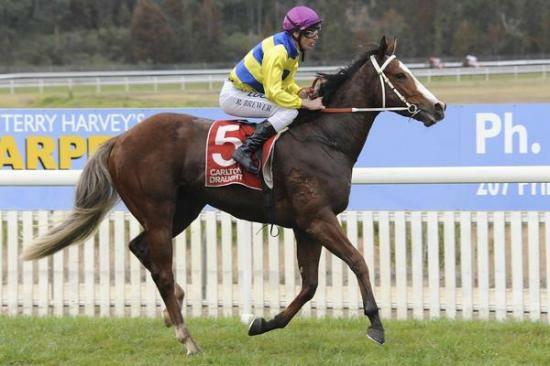 4 wins at 2000m, 2400m in Aust. Burante (g. by Bureaucracy). 3 wins to 1500m in Aust. Lord Boulevard (g. by Alert). 2 wins. See below. Wide Eyed (g. by Alert). 2 wins at 1200m in Aust. Star Trick (f. by Favorite Trick). Winner at 1100m in Aust. Kristalash (g. by Azzaam). Winner at 1600m in Aust. Will Strike. 11 wins from 1400m to 2100m, 3d AJC Lindemans H.
Yeats' Magic. 3 wins. See above. Lord Gordie. Winner at 1600m, 3d STC Liquor Stop H.
Trickie Nickie. 3 wins at 2000m in NZ. FIGUREHEAD (His Royal Highness). 6 wins from 1400m to 2050m, NZ$49,275, A$327,300, Waikato Guineas, Gr.3, BTC Rough Habit P., L, Cranbourne Cup, L, MVRC Tabaret H., Taranaki RC Avis (NP) 3YO H., 2d Queensland Derby, Gr.1, BTC Labour Day Cup, Gr.3, VATC Naturalism S., L, 3d Cranbourne Cup, L.
Figueres (Star Way). Winner at 1400m, 2d Wellington S., Gr.3, Wanganui Guineas, L, Hawke's Bay Wine Country Lodge H., 3d Levin Classic, Gr.1, Woodville-Pahiatua Cup, Marton JC Matt Burke Engineering 2YO H., 4th Waikato Guineas, Gr.3. Figurinit (Danske). 7 wins to 1400m, NZ$101,528, Hawke's Bay Winecountryracing.co.nz H., Friday Flash H., Marton JC Nufarm H., 2d Hawke's Bay Wexford Stables H., WRC Winter Championship Final, Hawke's Bay Speights H., 3d Waikato RC Ag & Turf Sprint H., L.
Figure Again (Ishiguru). 8 wins from 1200m to 2000m, NZ$110,010, Levin RC Echoes of Heaven & Ekraar at Linwood Park H., Stratford Cup, Manawatu RC Let's Go to Icons H., 2d Hawke's Bay PGG Wrightson H., Westbury Stud H., 3d Marton Cup, L, 4th Manawatu RC Awapuni Gold Cup, Gr.2. Hiique (Tobique). Winner at 2100m in 2015-16, 3d New Zealand St Leger, L.
Race Record: 10 Starts 2-2-0 A$33,825. 2 wins at 1000m, 1100m in 2015-16 in Aust.